The Apple iPhone X really set the precedent for expectations of smartphone technology following its launch in late 2017. With an immersive full display and gorgeous rounded design. 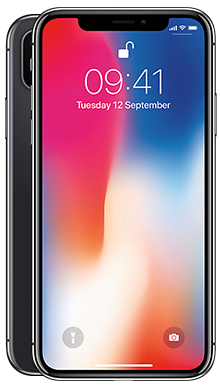 Select your desired options to find the best Apple iPhone X deals for you. The Apple iPhone X really set the precedent for expectations of smartphone technology following its launch in late 2017. With it’s immersive full display and gorgeous rounded design, this is a device that not only brings incredibly innovative technology at a user’s fingertips, but is also stunningly beautiful in it’s minimalism. 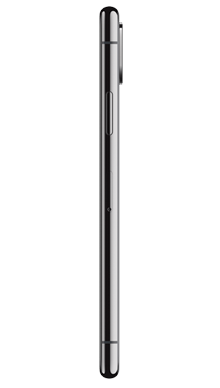 The 5.8 inch Super Retina screen with OLED multi touch display combined with HDR display takes viewing to a new level. Facial recognition, with the capacity to work even if your look or style changes, ensures maximum security, and the 12MP wide angle and telephoto cameras gives users the capacity to capture each and every moment in all it’s beauty. Even better, the iPhone X offers full 4K video recording with optical image stabilization for video to ensure that you’re producing the very best videos and storing all of your most important memories on your smartphone. 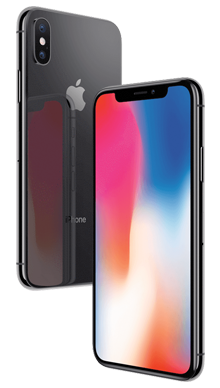 At Fonehouse we have some of the best iPhone X deals on the market. 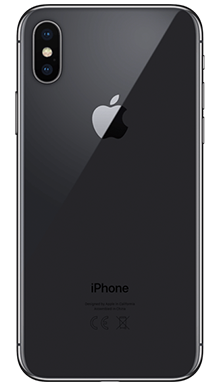 With our lowest prices ever we’re guaranteed to find you an amazing offer on the latest Apple handset, often with no upfront cost. Check out our best deal on Vodafone with unlimited texts and minutes and 16GB of data! Or how about one of our EE essential with free BT Sport or Apple Music? 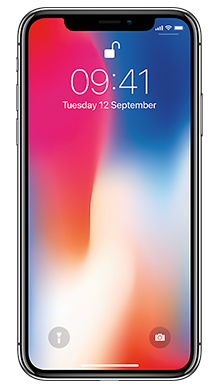 Whatever it is that you’re after, at Fonehouse we have the perfect iPhone X deal for you, shop now or speak to one of our customer service advisers today!